Thank You for my dreams I see every night. I love to laugh in my dreams. Last night I saw wonderful and happy dream. I had met on the sofa, oh la la, with enigmatic Mr. F. We were laughing aloud until I had awoken and opened my eyes. Funny Mr. F. makes my happy today. Ha-ha-ha, it seems the dream have predicted that I am going to read the article “Playfulness and Humor in the Psychoanalytic Relationship”. “In 2001, Time Magazine referred to Mr.F. as one of the most important thinkers of the last century. And in 2006 Newsweek article called him “history’s most debunked doctor” I am surprised by so ambivalent approach. Could you guess who is funny Mr. F.? My previous posts were about Vienna and you know to think and write about this legendary city is impossible without light of its intellectual stars. The brightest from them is “father of psychoanalysis“, everybody guesses, Sigmund Freud. 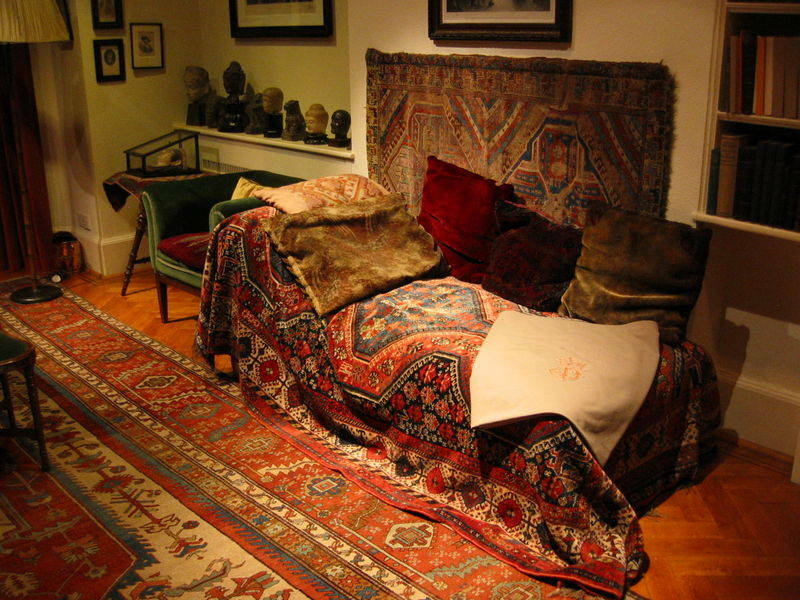 “Psychoanalysis is in essence a cure through love,” Sigmund writes about his brain child. The aim of psychoanalysis therapy is to release repressed emotions and experiences, i.e. make the unconscious conscious. He believes that nothing you do occurs by chance; every action and thought is motivated by your unconscious at some level. A Freud slip is defined as a written or spoken mistake that brings insight to one’s unconscious desires, idea, and drive. 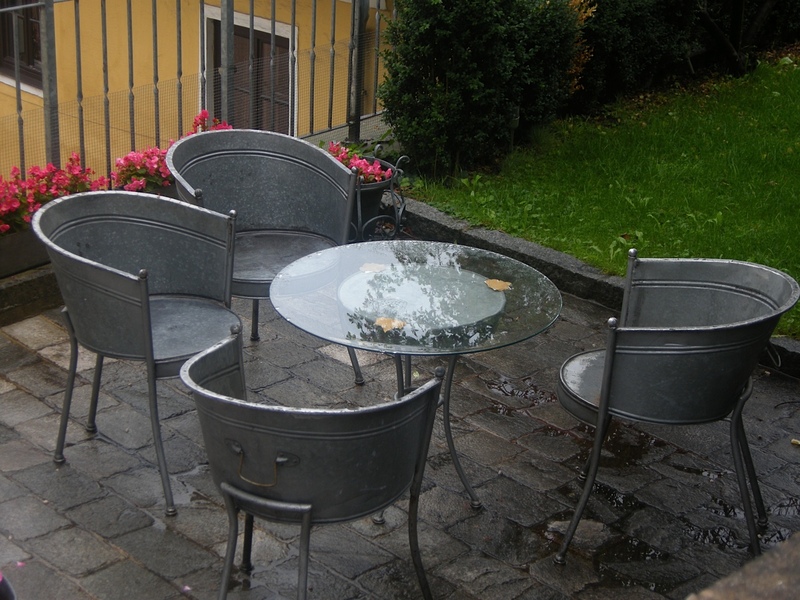 I have seen this wonderful design of chairs in Austria. What is your “free association” about the photo below? I associate the picture with a place of meeting of fishes from different seas like important diplomatic mission or group therapy as in “Finding Nemo” cartoon. 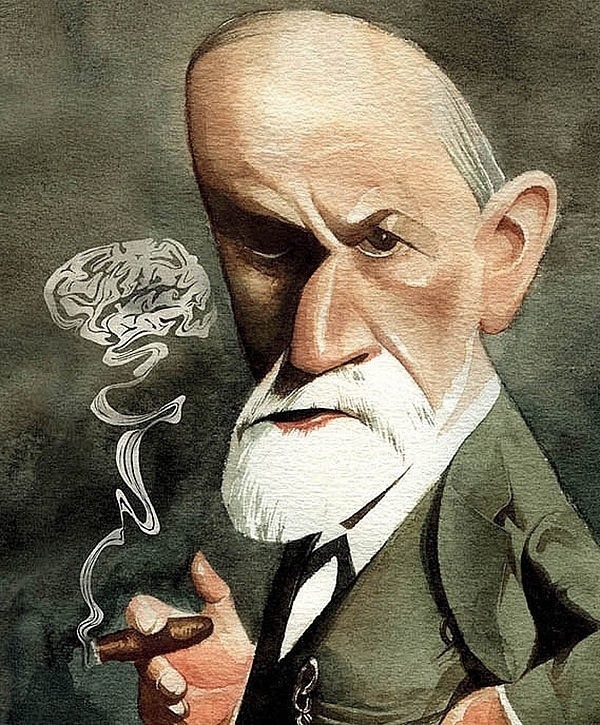 Sigmund Freud developed the use of “Talk Therapy”. In psychoanalysis, the patient typically comes four times a week, lies on a couch, and attempts to communicate as openly and freely as possible, saying whatever comes to mind. “The great question that has never been answered, and which I have not yet been able to answer, despite my thirty years of research into the feminine soul, is ‘What does a woman want? '” Freud puzzled. Prada, Prada knows the answer, dear funny Mr. F.
Thank you for your smile and happy mold (oh, Freud slip, I mean “mood”) :-)! I keep my happy mold (mood) because of you. Thank you! Your blog is treasure. I am happy you have liked me and I have this possibility to read and love your job! Thank you! Always glad to see you :-). Have a nice weekend! May this not start a feud with Dr. Freud. I love your blog, Glorialana. Hugs to you, honey. You’re a great blogger. I enjoy reading your interesting and enlightening posts. Keep up the good work you’re doing here. Cheers! Thank you for your warming words. Please keep up the good work you are doing in your blog :-)! I love it! Thank you, Robin! Happy to see your sunny smiles, you make me be creative :-). Have an inspirational day!